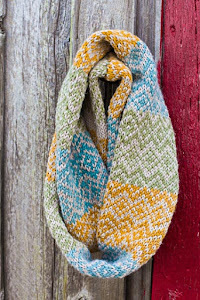 COLOR VIBE COLOR RUN | Loom Knitting by This Moment is Good! A Color Run is all about getting a little crazy and having fun! I've survived my third event since September, part of my get fit, give back campaign. It was a Color Vibe 5K run. As many may already know from reading my blog, I'm on a mission to accomplish six charity/fitness events in a one year period. This was my first color run. The charity associated to our event was The Hug-A-Bear Foundation. I was a little nervous all week about it because I had a really bad cold and didn't know if I could run. I also started to stress about the mess that would inevitably be in my car. I quickly found out that with a little preparation, a color run is not about stress, it's all about fun! I hope this guide will help anyone planning their first color run event. Why do a Color Run? It's a great way to get active in your community. It's a low pressure way to do your first 5K! Or like me, do back to back 5K's! It is not timed and nobody will notice how fast you are or aren't. Remember finger painting as a kid? It's like that! You can get in touch with your inner child. These events usually benefit a local Charity. Always a good thing. It's a great way to bring your family and friends together. It's an event that gets you moving and we all know that's good for the mind, body & spirit. Who Can do a Color Run? Everyone! Babies, Kids, Moms, Dads, Grandparents, handicapped, etc. From my experience, 50 percent of all entrants walk! I even saw a man with two leg braces on. I don't know who he was but he's my new Hero! Next time I think I have an excuse not to exercise, I'll think of that man. 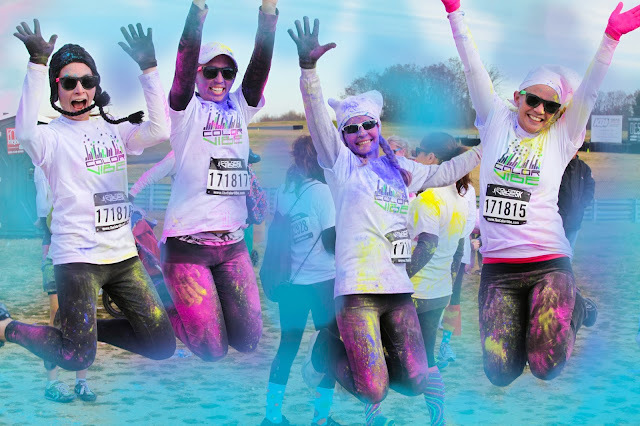 How should you prepare for a color run? Cover your car seats the night before. It will give you less to do at 7 a.m. 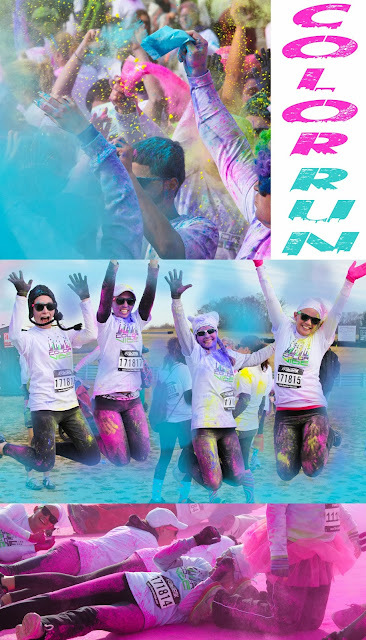 The day before you can register and pick up your color run packet. It contains a white t-shirt, a color packet and a pair of plastic sunglasses. You can also register the morning of the run. That's what we did. Enlist a family member or friend (who is not doing the run) to come and take pictures for you...the pictures are the best part! The night before, put plastic bags, old towels, baby wipes and a change of clothes in your car. The morning of, wear old clothes! Costumes are also fine and encouraged, anything goes! The color will go through your clothes. Don't wear good undergarments. If you have color treated hair, put a light coating of coconut oil through your hair. 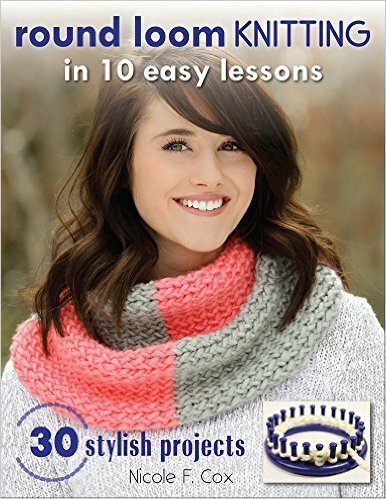 This will keep the dye from staining your hair. Also wear a bandanna or hat! If you have breathing issues, bring a dust mask for going through the color stations and for the color dance at the end. The color is non-toxic but it does make your breathing a little heavy. A bandanna pulled up over your face will also help. Expect some traffic. There is a lot of people at this event! Be patient, it is well run and goes pretty smoothly. We paid $5 per car for parking. The lot was big so there was a bit of a walk to the registration area. It was November 23rd and cold/windy so the walk helped us warm up. Registration was easy! I have to hand it to the coordinators of this event, we were late and the staff was friendly and quick. Line up at the starting area. They release several hundred people at a time, in waves. They will keep you entertained with music while you wait. 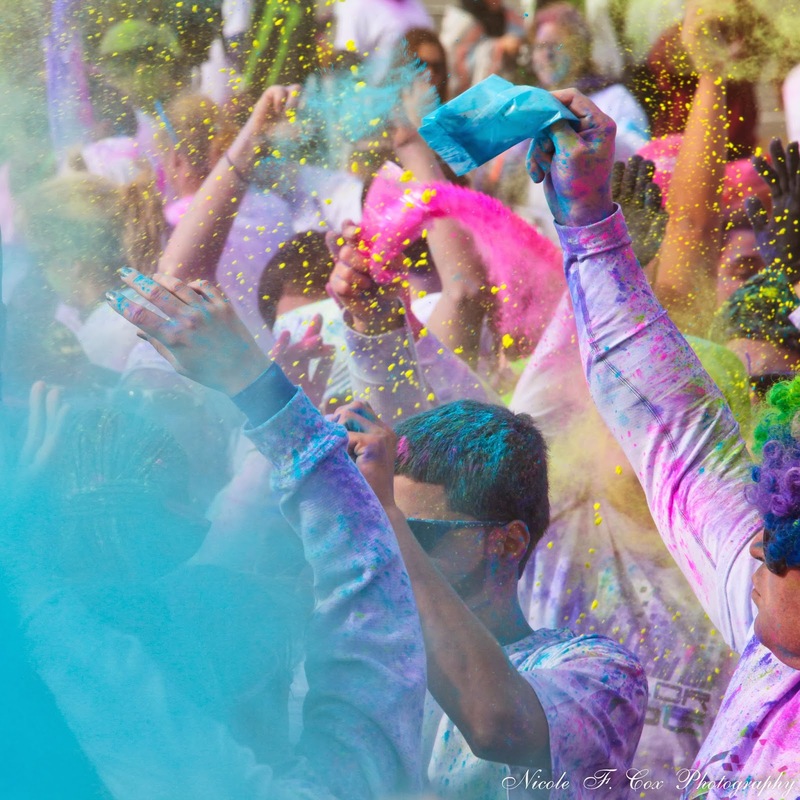 When it is your groups turn, you will run through a cloud of color...your color run has begun! 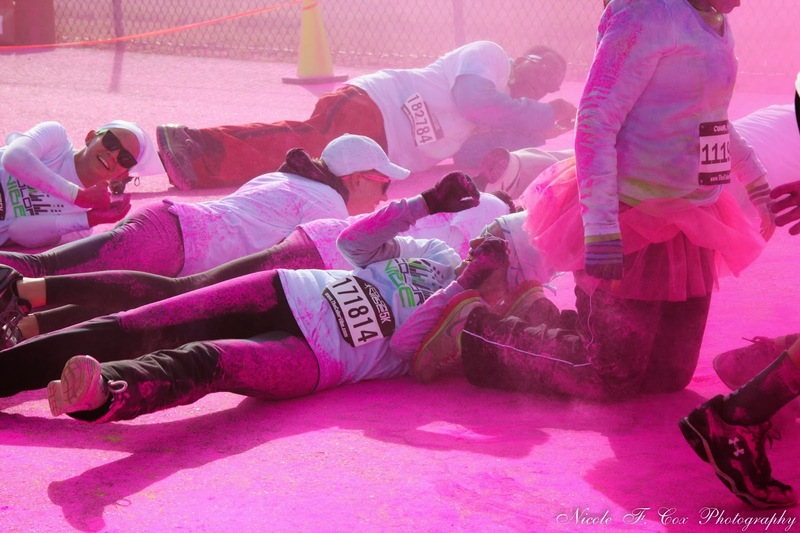 Most people jogged through the color and then started walking. Our team, "Life in Color" jogged most of the way. Only slowing to allow slower members of the team to catch up. There were probably about 4-5 color stations along the run/walk. The staff were fun & friendly when you went through. Basically a color station is compromised of about 5 staff members who throw color at you...Fun! Don't worry if most of the color blows off you while you are running, there is plenty of color to come at the end of the 5K. Use the colors stations as a place to allow slower members of your group to catch up to you and then go through together. It's more fun that way and it takes the pressure off of the non-athletic people in your group. Eventually, since we were the last group to go (we were late! ), the color does run out. No problem, its everywhere, pick it up off the ground and throw it or roll in it. There's music and a dance mosh pit area. Don't worry, no pushing and shoving went on. This is where the real color explosion happens. They'll tell you when to open your color packets (given to you at the beginning of the run) and simultaneously start spraying you with the color; All while the music is blaring and everyone is cheering. You can stay as long as you want. We were the last group of runners and we left before the festivities were ending. When you get to the car, shake your clothes out. Most of the color will just dust off. Use a towel to dust off each other. Use baby wipes to wash your hands and face. I had a second layer of clothes under my outerwear, so I peeled the top layer of clothes off. It was cold out. 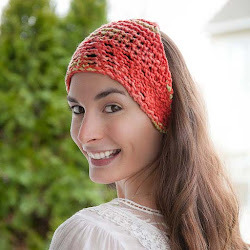 The color will go through right to your bra and underwear but it will be less! Now is a great time to go to breakfast and talk about all the fun you had! At home, Use a combination of clarifying shampoo (1 Tbs) & Baking soda (1 Tbs). This will take all the color out of your hair, if you used the coconut oil. My hair is color treated and blond and I had no problem with the dye. Wash all your clothing & towels in cold water (alone). Do this a couple of times! I ran an empty bleach cycle through my washer after, just to make sure no dye was left in the machine. I am not sure this was necessary but "better safe then sorry". That's it, you've done your first Color Vibe, Color Run! What they say is true, it really is the most fun you can have running/walking/jogging a 5K. The small amount of prep and clean up was worth it. At 46 years old, I was the biggest kid out there and got a lot of exercise while I was at it! Plus, helped out a great cause...double bonus! Last color station, everyone just rolled in the color or threw it off the ground! This is the dance, color explosion at the end. Color packet shown. Thanks to my husband for the great photography! Thank you for reading...Now get out there and Color Run!